Christy Tulen was born on August 28th 1993 in Leiden, the Netherlands. 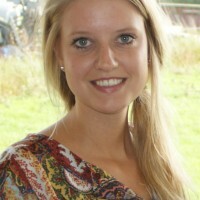 In 2011, she started the Bachelor program Nutrition and Health at Wageningen University. During the Master Nutrition and Health, she specialized in Molecular Nutrition and Toxicology and received her Masters’ degree in 2016. Currently, she is a PhD-student at Maastricht University investigating the mechanistic and causal involvement of aldehydes in Chronic Obstructive Pulmonary Disease lung pathology. This project is conducted in collaboration with the National Institute for Public Health and the Environment.